The Yuletide season is soon followed by the New Year. It's your one chance every year to treat family and friends, and wish them long life. 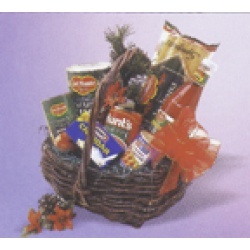 Priced within budget at only $78, this pasta basket is stuffed with quality grocery items and ingredients to make the perfect Christmas Eve pasta dinner. Let them go Italian, American, or Asian as long as it?s on you. 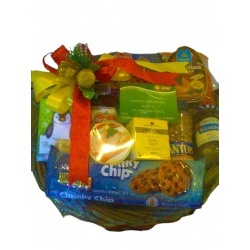 This gift package is ideal for Christmas. The Yuletide season is the perfect reason to wear all the merry colors with pleasure. 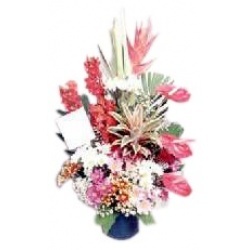 Send your wishes in hues of the holidays with this gift package that goes for a pocket-friendly price of only $78. 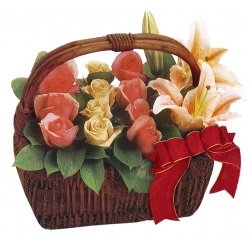 It consists of only the freshest 1 dozen mixed roses with stems of liliums arranged elegantly on a pretty basket. 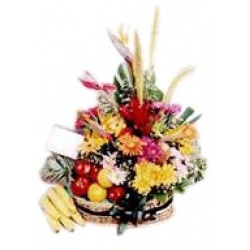 This gift package is ideal for Christmas, Spring, and occasions for Roses. 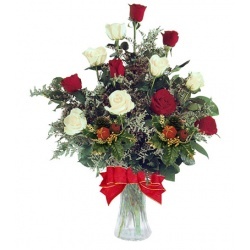 Christmas comes in the merry colors of red and white with this spectacular flurry of mixed roses. 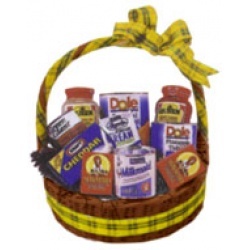 Go all-out with this gift package that goes for a reasonable price of only $68. It consists of 1 dozen red and white roses of only the freshest, choicest variety, arranged beautifully in a vase with Christmas piks and ribbon. 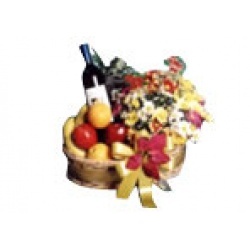 This gift package is ideal for Christmas and occasions for Roses. Consist of 16oz Country Oatmeal Cookies, Pizoler Pate?, Cherry Drops Candy, Pasta San Remo Vegeroni, Privista Sugo Pasta Sauce, Munz Swiss Chocolate, Petri Tomato Creme Sardines, and Red Wine. 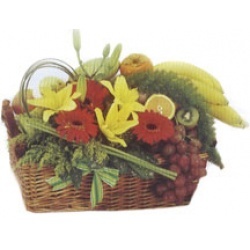 Arranged in a basket with Christmas decors. Within Metro Manila Delivery Only. No Christmas is quite complete until Santa comes bearing gifts. 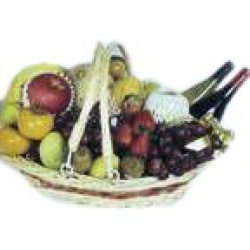 For the coming holidays, you can make it happen with this adorable fruit basket that goes for a budget-friendly price of only $65. 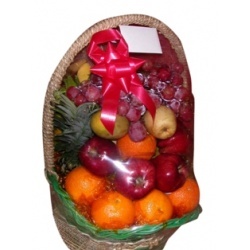 This gift package consists of only the freshest, choicest-variety assorted fruits arranged beautifully in a fine-quality basket with the most charming ?Santa bear? stuffed toy. No Yuletide celebration is ever complete without a feast of great food on the table. 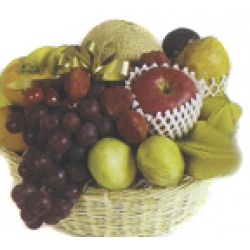 Send your holiday wishes with this fruit salad basket for a budget-friendly price of only $58. It consists of only select-quality fruit cocktail, pineapple tidbits, sweet cocogel, sweet kaong, nestle cream, raisins, and kernel corn arranged elegantly in a pretty Christmas basket. 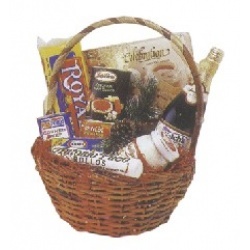 Send your warmest Yuletide wishes with this gourmet basket that saves your loved ones the trouble of multiple trips to the supermarket. For a budget-friendly price of only $55, it is a basketful of Royal spaghetti, sparkling red grape juice, cheddar cheese, sandwich spread, luncheon meat, corned beef, assorted biscuits, and spaghetti meat sauce.